Charlie St. Cloud, directed by Burr Steers opened today, and is likely playing at your local cineplex. The story is simple enough when you take the broad overview – There are two brothers in a small Pacific Northwest coastal town. Charlie St. 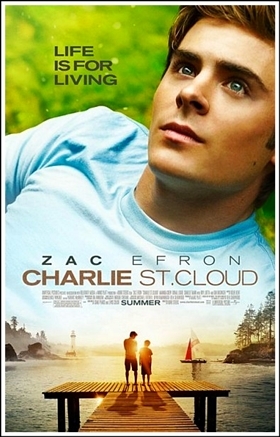 Cloud played by Zac Efron, is a high school senior who is a masterful sailor and is headed to Stanford on a scholarship. His 11 year old younger brother Sam (Charlie Tahan) idolizes his older brother and the Boston Red Sox in that order. They live a middle class life that appears idyllic because the setting is a beautiful coastal town called Quincy Harbor. All is well…until a drunk driving accident takes Sam’s life and nearly costs Charlie his own life. Charlie loses it at his brother’s funeral, as he runs off into the woods where Sam appears to him. Charlie agrees to meet Sam everyday at sunset to toss a baseball around. No matter what, come hell or high water…everyday, which brings Charlie’s life as a golden boy headed to Stanford, to a screeching halt. So who is Salt? Or more specifically, Who is Evelyn Salt? You might as well be asking who is Jason Bourne? 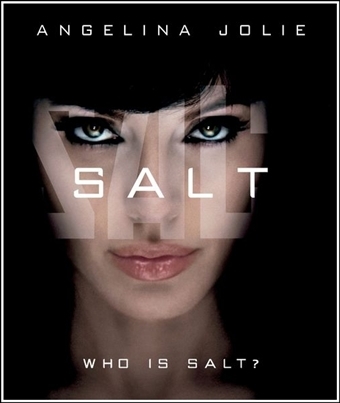 Yeah, well Salt is kind of like Bourne. Grim, driven, and unbeatable. And totally humorless. She’s also Mata Hari mixed with MacGuyver. And to top it all off, she’s someone who will look you right in the eye before blowing your brains out. Salt never met a vehicle she couldn’t operate – cars, vans, and motorcycles? No problem. She’s adept at making a bomb out of household cleaning agents, and when called for, she can mix up a delightful cocktail using spider’s venom. She’s all girl, and all killer. Salt never saw a building she couldn’t escape from or break into. These include several very famous buildings – like the White House in Washington DC, and St. Bartholomew’s Church on Park Avenue in New York. Despite getting herself captured and placed into the custody of the CIA, or the FBI, or even the NYC Police, this never seemed to be a problem. It was never a question of will she escape. Instead it was more like, how quickly will she escape. 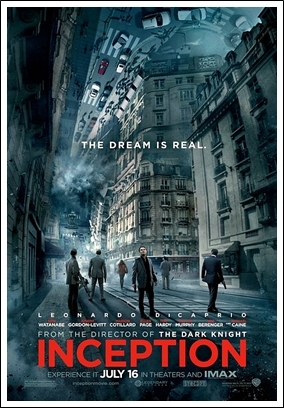 Christopher Nolan’s brand new movie Inception which opened today, is indeed a new idea in film making and story telling. We’ve not really seen too many movies about dreams. Yes, we’ve seen many movies where there’s something going on, and it’s frightening, or it is intense, and then, someone awakens … and we realize that what we had just seen… was only a dream. That dream was a bit of deceptive gamesmanship by the screenwriter and director to either thrill us or shock us. We are relieved when we become aware that what we had just seen wasn’t reality. Inception turns that concept inside out. Here, the film’s premise is that the dream state is where we want to be. It is where the action happens, and it is where all the peril and danger and thrills occur. Leonardo DiCaprio plays Cobb. He calls himself a security expert of a very specialized kind – subconscious security. He’s an extractor. This means he enters your dreams to find your secrets which he then steals. Cobb is speaking to another character as well as we viewers when he says: What’s the most resilient parasite? An Idea. A single idea from the human mind can build cities. An idea can transform the world and rewrite all the rules. Which is why I have to steal it. This is Auro. He’s just 12 years old. Due to a rare form of the disease called Progeria, his body ages at an accelerated pace. In effect, he is a 12 year boy with a body of a sixty to sixty-five year old man. The film is called Paa, and the star is Amitabh Bachchan who is India’s best known film actor, and has been a superstar in Indian cinema since the 70’s. He doesn’t play Auro’s father – he plays Auro. Yes, that’s him as Auro, but without me telling you, you wouldn’t have guessed it. Amitabh, who is also called Big B, is unrecognizable beneath the prosthetics and make-up. In reality, Big B is 67 years old, but his regular screen presence is not the least bit evident. 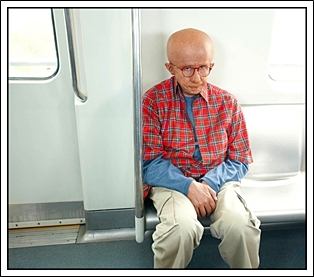 What we see is a 12-year-old boy, who despite his progeria is well-adjusted, and very well liked by his classmates. If you remember Al Pacino as Scarface, then you know his role as Tony Montana, a Cuban émigré (he came over with the Marielitos – the Cubans no one wanted, not even Cuba itself) and worked hard. He went from being a dishwasher in a roadside food stand to being one of Miami’s biggest drug lords. Tony answered to no one, and when his ego led him to defy the powerful Bolivian drug cartel, they sent an army of assassins to kill him. That film ended with his death. 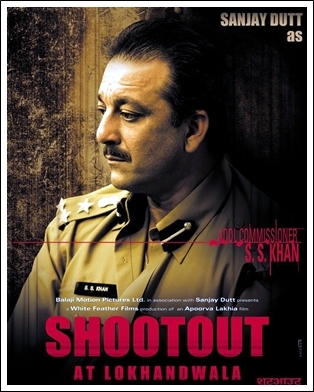 The Shootout at Lokhandwala, an Indian film helmed by Apoorve Lakhia, was released on May 25th, 2007. Where Scarface ended with Tony Montana’s assassination, a similar event marks the beginning of this film. A gang of criminals specializing in extortion and racketeering, are holed up in an apartment complex in a Bombay (Mumbai) suburb. They are wild, undisciplined, and like Tony Montana, answer to no one. Not even the big boss or bhai who lives in Dubai but still controls the Bombay/Mumbai criminal underworld. Where one films ends another begins. In Shootout at Lokhandwala, we begin with shots of the clean up of the bloodbath. We see hundreds and hundreds of shell casings being swept up. We see the blood stains on the streets and in the hallways and on the roofs. We are told by a on-the-scene television reporter about the carnage that occurred in the six-hour melee. We also meet the cop in charge – Assistant Commissioner of Police, S.S. Khan played by Sanjay Dutt. So we watch as the story unfolds in flashbacks. We see how Khan earned his stripes when he went after some Sikh separatists who gunned down a policeman on a city street in broad daylight following Operation Bluestar in 1984. 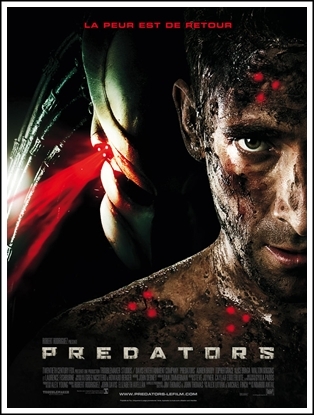 While he will never be mistaken for Ah-nuld in his role as Dutch in the 1987 classic, Predator, Adrien Brody, along with an excellent supporting cast, has just opened in another wannabe summer blockbuster, Predators. I can call it a wannabe because it just opened across America yesterday morning. We will have to wait until Monday to see the box-office reports reflecting the number of tickets sold. While the original Predator appeared 23 years ago, and the sequel (Predator 2) came out in 1990, the story concept of humans being hunted is as old as the hills and is a tried and true genre favorite. As far back as 1932, in The Most Dangerous Game, in films, humans have been hunted under circumstances other than warfare and survival. What does that leave? Hunting for sport is the remaining category. There’s a quote from the movie which sums it all up. This planet is a game preserve. And we’re the game. So that tells you what the picture will be about. What’s interesting to contemplate is whether or not the movie makers (Producer Robert Rodriguez and Dirctor Nimrod Antal) have succeeded with this film which is neither a true remake nor a true sequel. The answer is straightforward. They’ve made an exciting and somewhat suspenseful action thriller. But there is one drawback, and it’s big. If you are aware of this film’s origin, then the major element of suspense is removed. If you have seen any of the previous Predator franchise films, then you know what the humans are up against. Okay, since I did see the original Predator and Predator 2 then I had the foreknowledge which removed the suspense. In that regard, the original will remain unsurpassed. Instead, a viable question is did they entertain us during the time while we were waiting for the inevitable appearance of the Predators? The story-line had them heading for the high ground, that’s how. Along the way, they run into a pack of ‘dogs’ (more on them later) as they, as well as we the audience, find out where they actually are. They may have filmed those exteriors in Hawaii, but in the film, they’re not in Hawaii.